The 2015 rupture of the Fundão dam near the district of Bento Rodrigues in Mariana, Minas Gerais, Brazil, released around 50 million m3 of iron ore tailings. The first tributary of the Rio Doceto receive this waste was the Gualaxo do Norte River. Many groups in Brazil and from around the world have studied the environmental and social impacts of this disaster. However, relationships between the introduction of mining waste, the geological complexity of the area, and the presence of pathogenic organisms have not yet been investigated. The present study aimed to measure the concentrations of enteric pathogens along the Gualaxo do Norte River after the environmental disaster and to correlate their abundance with the presence of metals and semimetals coming from both mining tailings and geological sources. For this purpose, we collected water samples from 27 stations along the entire basin during a hydrological year. The concentrations of metals and semimetals measured in this study were generally within limits established by national and international legislation, except for those of iron and manganese. 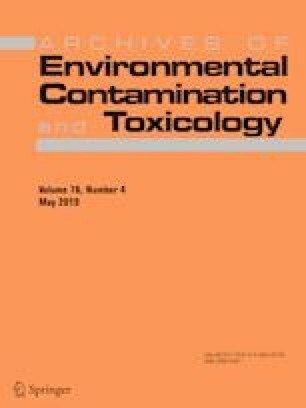 Positive correlations between the human adenovirus (HAdV) and arsenic, barium, iron, lead, manganese, and nickel were confirmed, allowing us to observe that there is an abundance of the potentially infectious virus present in the studied sites containing metal/semimetal concentrations. These studies indicate the importance of investigations that consider viral enteric pathogens complexed with metals and may favor the stability and prolongation of the infectivity of such pathogens in water destined for human and animal usage. This study was made possible by support from the Fundação de Amparo à Pesquisa do Estado de Minas Gerais (FAPEMIG), the Conselho Nacional de Desenvolvimento Científico e Tecnológico (CNPq), the Coordenação de Aperfeiçoamento de Pessoal de Nível Superior (CAPES), and the CAPES Programa Nacional de Pós-Doutorado (CAPES-PNPD), for which we are deeply thankful. We also thank Adriana Trópia de Abreu and Hermínio Naline Júnior from the Laboratório de Geoquímica Ambiental at Federal University of Ouro Preto for the ICP analysis, as well as Fundação Gorceix.